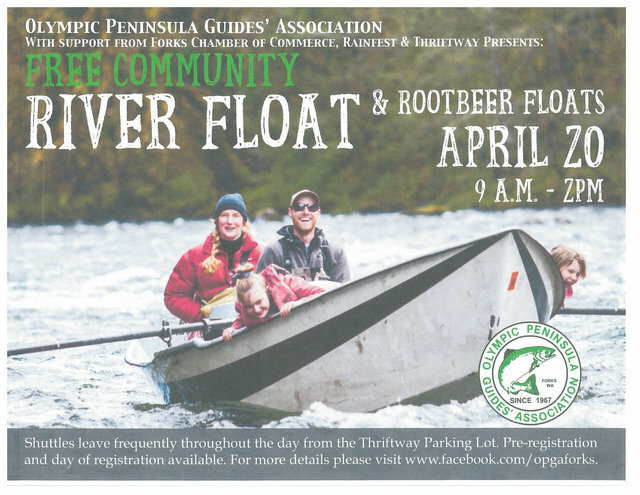 In coordination with this years’ Rainfest, the Olympic Peninsula Guides’ Association (OPGA) will be putting on a Free Community River Float event on Saturday, April 20th. Although our guides typically spend their days catching fish, the OPGA want to share with our community the amazing scenic experience created by our stunning rivers as they flow out of the heart of the Olympic National Park. Beginning at 9 a.m., shuttles (sponsored by the Forks Chamber of Commerce ) will be leaving from the Forks Thriftway parking lot for a 2-hour scenic float on one of our local rivers. Shuttles will leave frequently throughout the day, so come early and get signed up. The event will be first-come first-serve, but we will try and accommodate as many people as we can. We will go later than 2:00pm if there is enough demand. 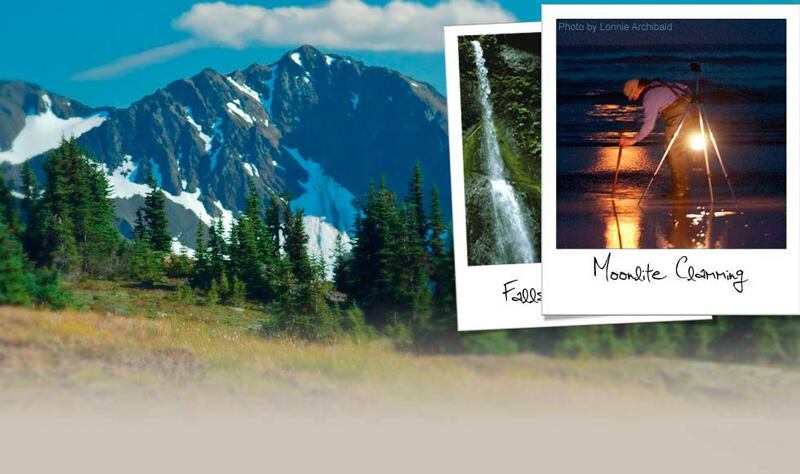 Please bring warm clothing, rain jackets, sunscreen and your camera! Minimum age is 6 years old (with parent). Life jackets for adults will be provided. We will have some children’s life vests, but please feel free to bring one that fits your child if you have it. Beginning at noon, we will also have root beer floats available (sponsored by Thriftway). All are welcome, even if you can’t join us on a river float. Come join us for a day of fun and experience our area rivers from the viewpoint of a boat or raft!